Did you know that you are the sixth ingredient in Haagen Dazs' new five ingredient ice cream? 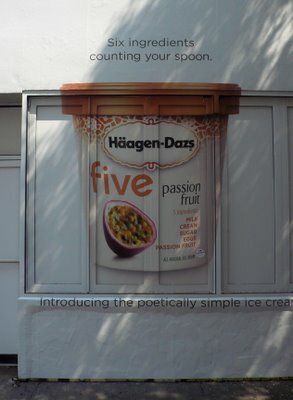 (actually it's your spoon but...) I did not, and was happy to be informed by this immense streetscape on 13th and 6th avenue (SEC). I am not sure if InWindow operates this location, but I am putting it on the map anyways. 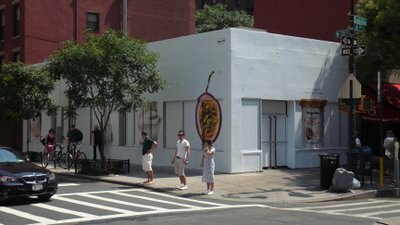 This advertisement in approximately 40'x120'x22' totaling over 3,500 square feet, has no permits, and was served by the city of NY for illegal advertising on 05-29-09.